This is the first French edition of The Joe Leaphorn Mysteries, and it was published in 1991 by the French publishing house Rivages in Paris, France. 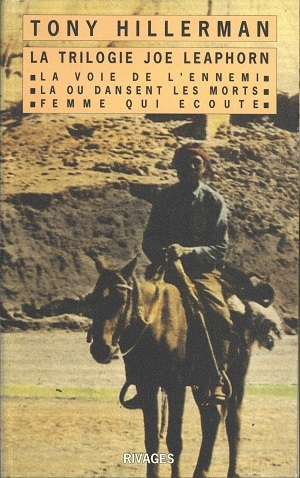 Tony Hillerman's original English text was translated into French by Danièle and Pierre Bondil. This edition is an anthology of the first three novels from Tony Hillerman's Navajo Mystery Series including: The Blessing Way (1970), Dance Hall of the Dead (1973), and Listening Woman (1978). The cover art is credited to D.R. and is a grainy photograph featuring a Navajo man wearing a red bandana and riding a horse with a desert landscape in the background.